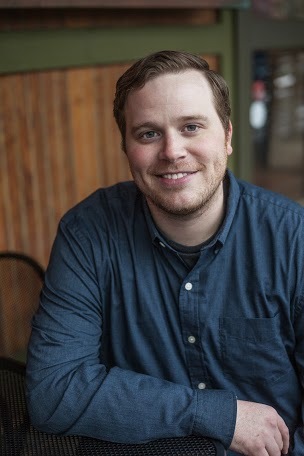 John Corey Whaley-Who is this guy? Whaley reading at the National Book Foundation's 5 Under 35 Party, Brooklyn, 2011. 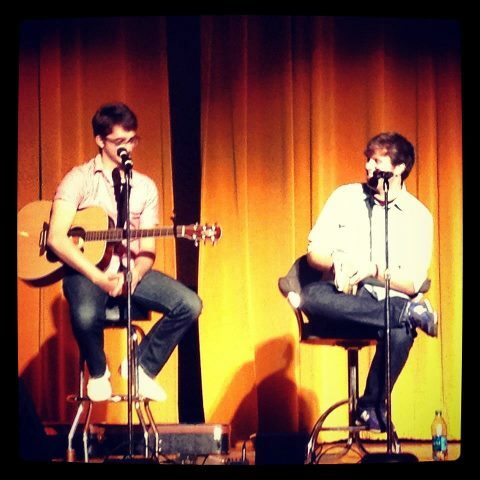 Whaley with friend, musician Ben Jenkins, at event in Monroe, Louisiana. JOHN ‘COREY’ WHALEY grew up in the small town of Springhill, Louisiana, where he learned to be sarcastic and to tell stories. He has a B.A. in English from Louisiana Tech University, as well as an M.A in Secondary English Education. He started writing stories about aliens and underwater civilizations when he was around ten or eleven, but now writes realistic YA fiction (which sometimes includes zombies…). He taught public school for five years and spent much of that time daydreaming about being a full-time writer…and dodging his students’ crafty projectiles. His favorite word is defenestration. His favorite color is green. His favorite smell is books. He currently lives in Little Rock, Arkansas, where he recently became a content writer for Apptegy, an ed tech start-up. Whaley with editor Namrata Tripathi at National Book Awards, 2011.